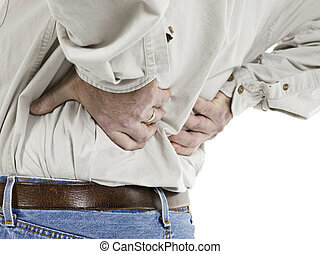 Back Pain. 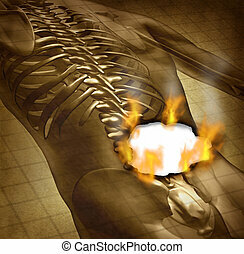 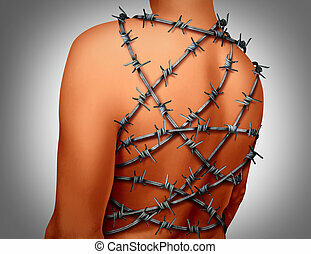 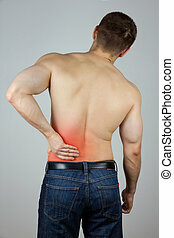 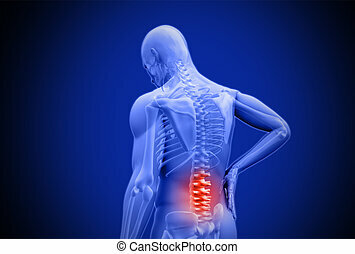 Man touching his back with highlighted pain area. 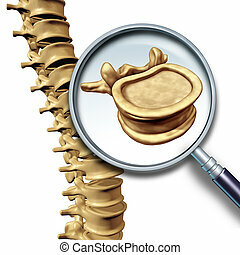 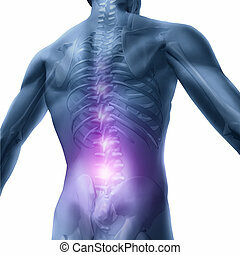 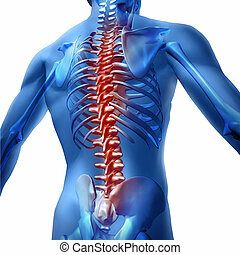 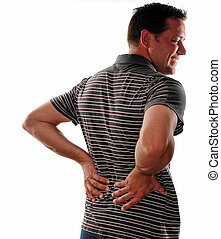 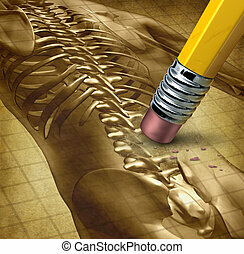 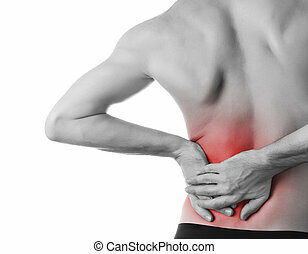 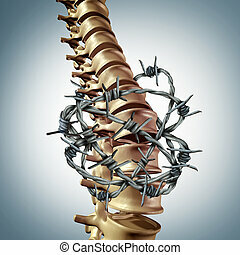 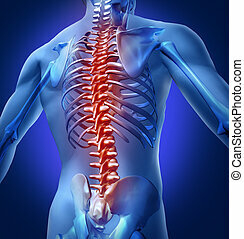 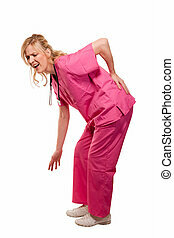 Lower back pain, physical discomfort. 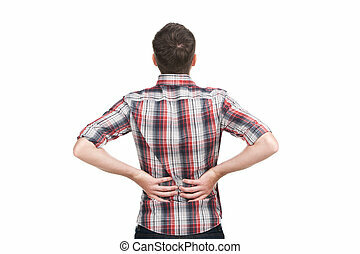 Back Pain. 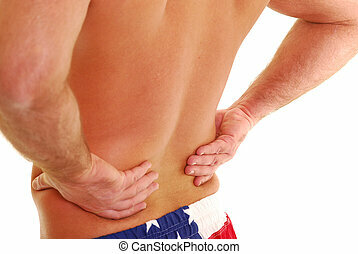 Athletic fitness woman rubbing the muscles of her lower back. 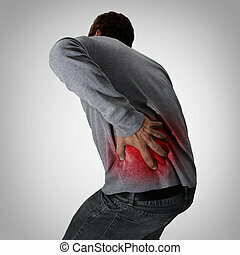 Sports exercising injury. 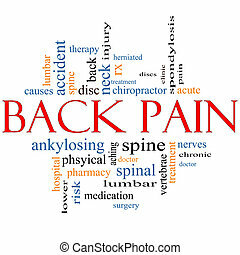 Back Pain Word Cloud Concept with great terms such as injury, lumbar, spine, treatment, discs and more. 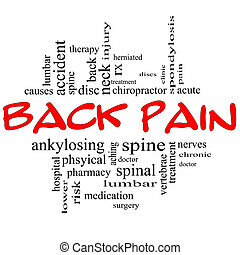 Back Pain Word Cloud Concept in black and red letters with great terms such as injury, lumbar, spine, treatment, discs and more. 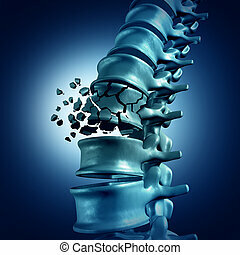 Spinal Fracture and traumatic vertebral injury medical concept as a human anatomy spinal column with a broken burst vertebra due to compression or other osteoporosis back disease. 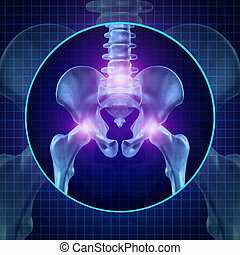 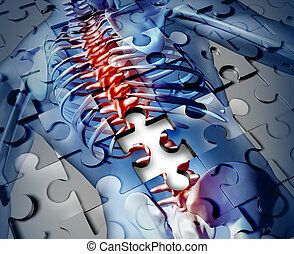 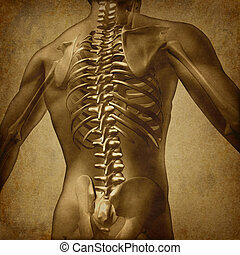 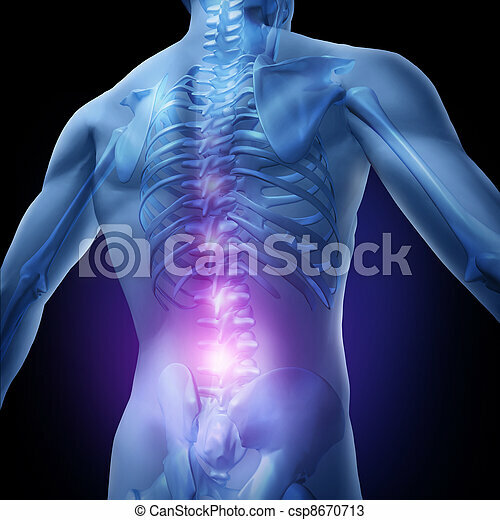 Vertebra Vertebral Column Human Spine concept as medical health care anatomy symbol with the skeletal spinal bone structure closeup on a dark blue background as blank copy space. 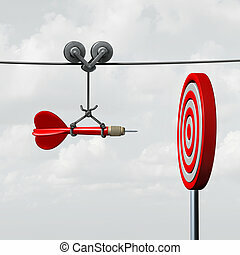 Success hitting target as a business assistance concept with the help of a guide as a symbol for goal achievement management and aim to hit the bull's eye as a dart assured to go straight towards the center. 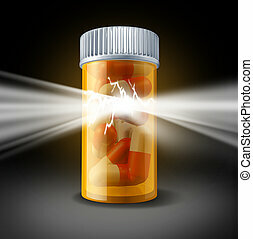 Power of Medicine success and a medication cure health care concept with pharmaceutical research in biotechnology as prescription pill bottle bursting with shinning light as a miracle drug.